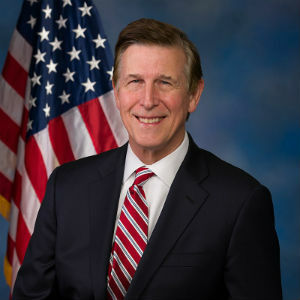 Rep. Don Beyer today called for swift consideration of his bill, the bipartisan Atlantic Seismic Airgun Protection (ASAP) Act, following an announcement by the National Marine Fisheries Service that the Trump Administration had formally approved permitting for seismic blasting in the Atlantic ocean. “Coastal states, communities, small businesses, political leaders from both parties, and the United States Navy all stand united in opposition to drilling, seismic blasting, and invasive petroleum exploration in the Atlantic Ocean. Given that the Trump Administration has formally announced its intention to ignore the concerns of residents and stakeholders directly impacted by these actions, it is time for Congress to step in and put a stop to this by passing the Atlantic Seismic Airgun Protection Act. “Seismic blasting and offshore drilling pose a threat to marine life and the coastal economies which depend on them. There is no justification for intentionally welcoming this kind of damage, particularly at a time when oil prices are low and fossil fuel corporations are posting record profits. “President Trump’s decision to push more dirty energy on the country again worsens this Administration’s dangerous disregard for the threat posed by climate change. Since the National Climate Assessment made it clear that climate change is already killing Americans and costing our economy billions of dollars, the President and his Cabinet have spent the week engaging in willful ignorance of scientific findings. The Atlantic Seismic Airgun Protection Act was introduced in 2017 by Representatives Don Beyer (D-VA) and Frank LoBiondo (R-NJ). The list of bipartisan cosponsors for the bill includes Representatives of almost every state on the Atlantic seaboard. Seismic surveys, which use deafening underwater blasts to help locate petroleum deposits, have been demonstrated to harm marine life, including the endangered North Atlantic right whale. The US Geological Survey report “Federal Lands Greenhouse Gas Emissions and Sequestration in the United States: Estimates for 2005–14,” released by the Trump Administration on Black Friday simultaneously with the National Climate Assessment, studied the impact of greenhouse gas emissions from petroleum extraction and other activities on federal lands and waters.